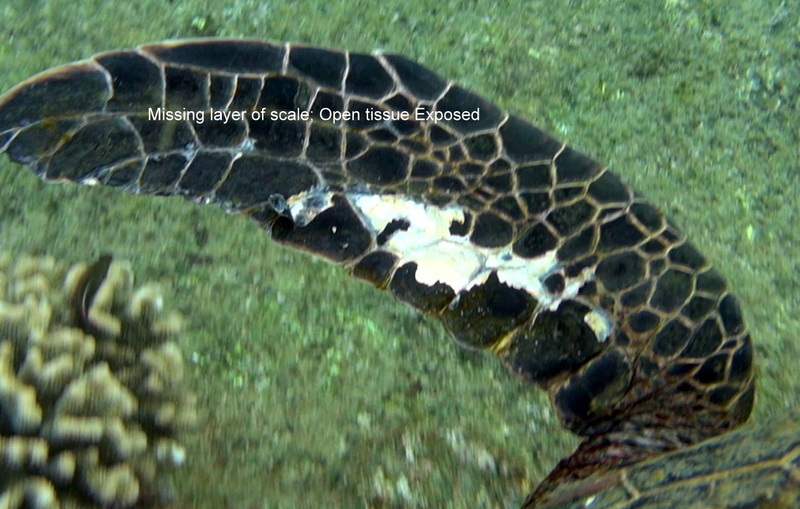 Subject: More Sea Turtle Potential Radiation damage at Tunnels Reef. I spent 4 yours yesterday with the 14 sea turtles at Tunnels doing close up observation and HD video with time, date and GPS. I made some interesting discoveries. 50 % of the turtles had a build up of crustose algae on their shell, chipped shells and, or tissue damage on the flipper. 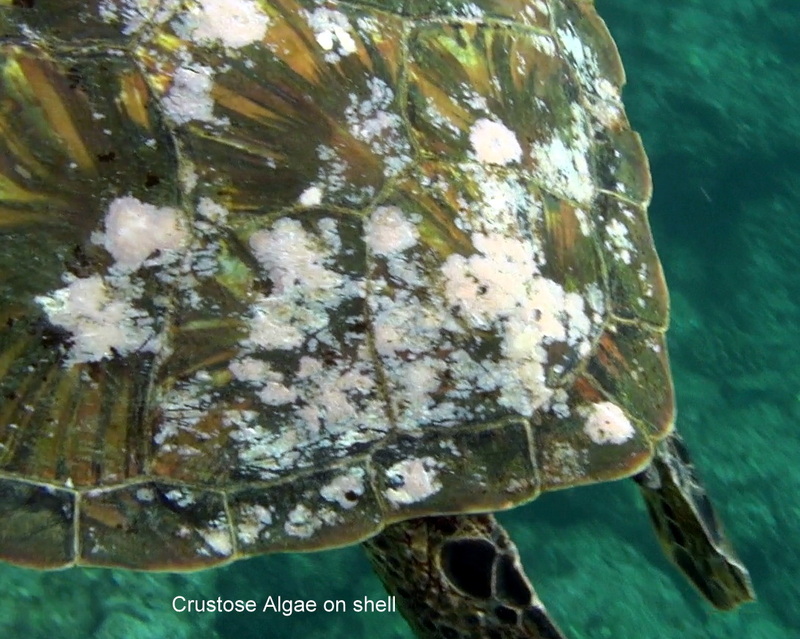 The crustose algae is pink and you can clearly see it is on top of the shell. 5 years ago there were almost no turtles with this condition. 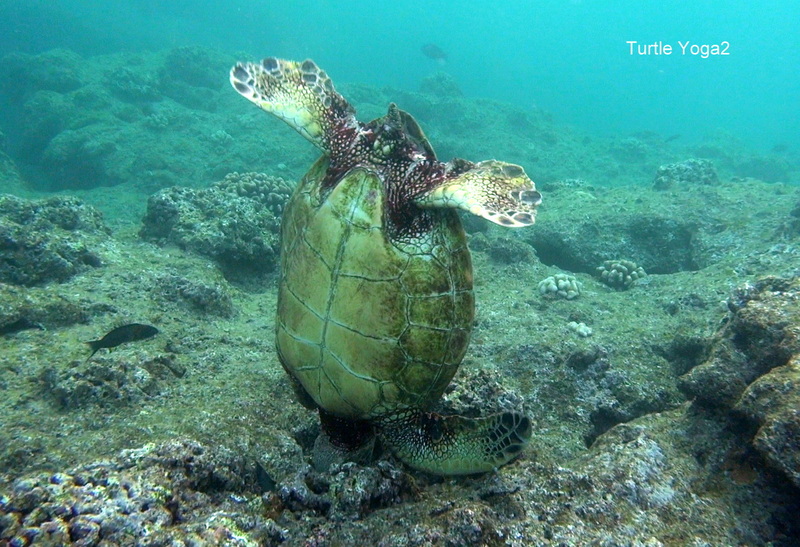 This is a “turtle cleaning station” where the fish eat off this algae. 90% of the turtles right now are NOT visiting the cleaning station!! This is a huge shift. I believe it is painful to the turtles to have their shells and body cleaned by the fish with sharp teeth. Plus there is about an 80% reduction in fish at the cleaning station and over 50% of the corals have died there since August 2011. This cleaning station is visited by hundreds if not thousands of green sea turtles every year and it is an extremely import part of their habitat! 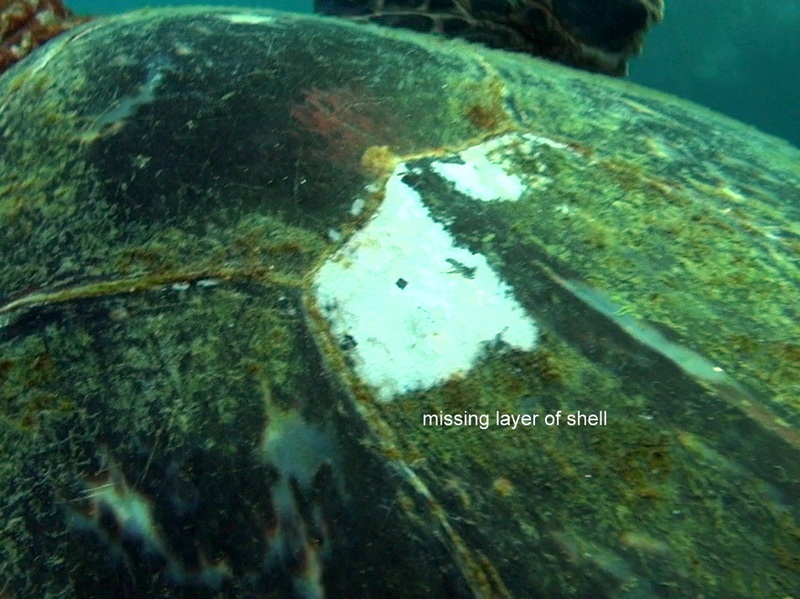 About 30 % of the turtles have the first layer of shell missing. 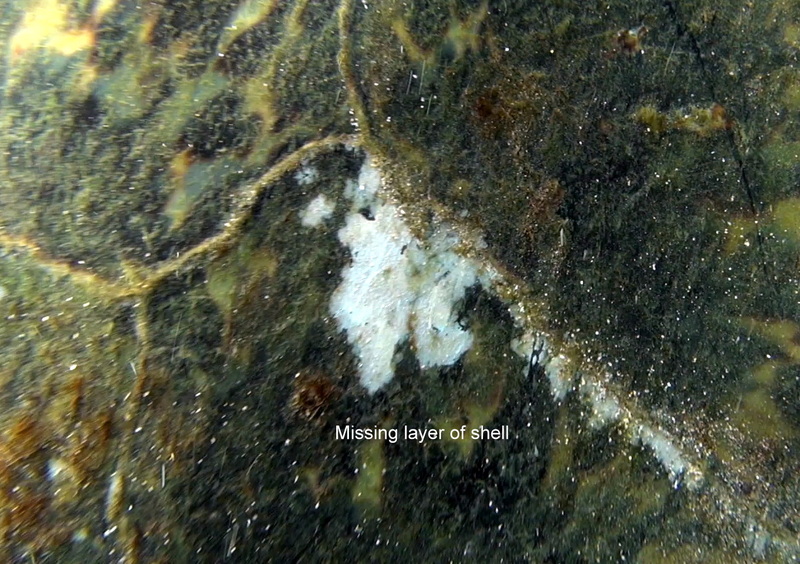 It is white and you can clearly see there is no algae growth. 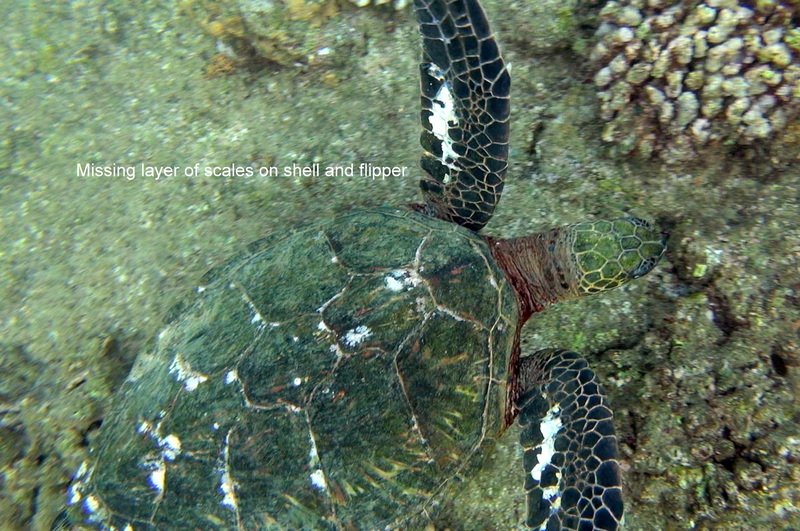 My most interesting discovery is of the 20% of the turtles with flipper damage and raw flesh exposed. They are NOT being chewed on at first. Their scales are simply falling off of the flipper then the other critters come in and chew on the exposed flesh. 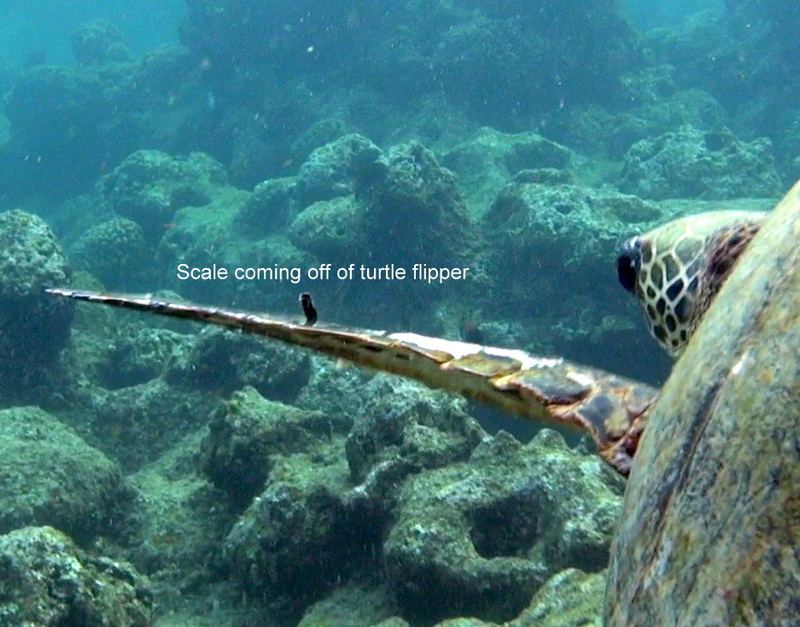 You can clearly see loose entire scales on their flippers flapping in the current until they fall off. 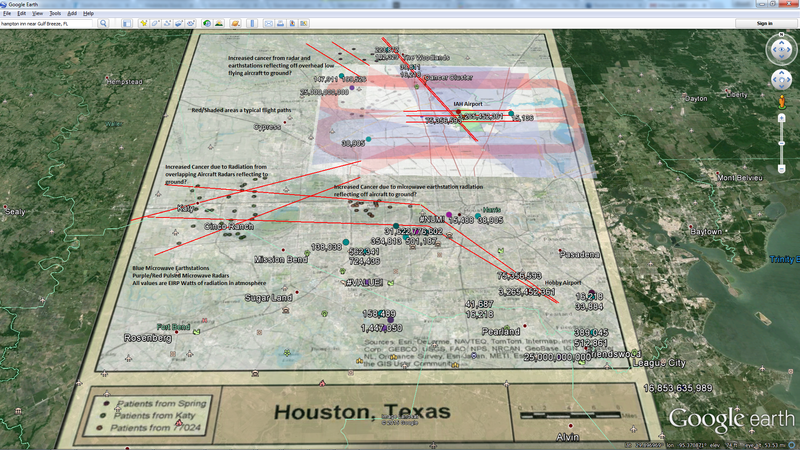 The bottom line is that almost 90% of the turtles are undergoing a dramatic change physically since August 2011 and this change happened when the military “weaponised” their microwave towers and changed their frequency up to 6 million watts for their electronic war games just offshore of Tunnels reef. The very same turtle problem is happening at Milolii right where the Navy is also operating their electronic war. I believe you will see a calcium imbalance in the corals and in the turtles shells and flippers. This condition is caused by excess radiation. It has been well documented world wide with land based reptiles and other animals but not yet studied well in the sea. Since no one yet can figure out why we have a massive coral disease at Tunnels, plus dead sharks, dead fish, dead whales and damaged turtles I think this should be taken very seriously as this is the habitat for a protected species under the Endangered Species Act. 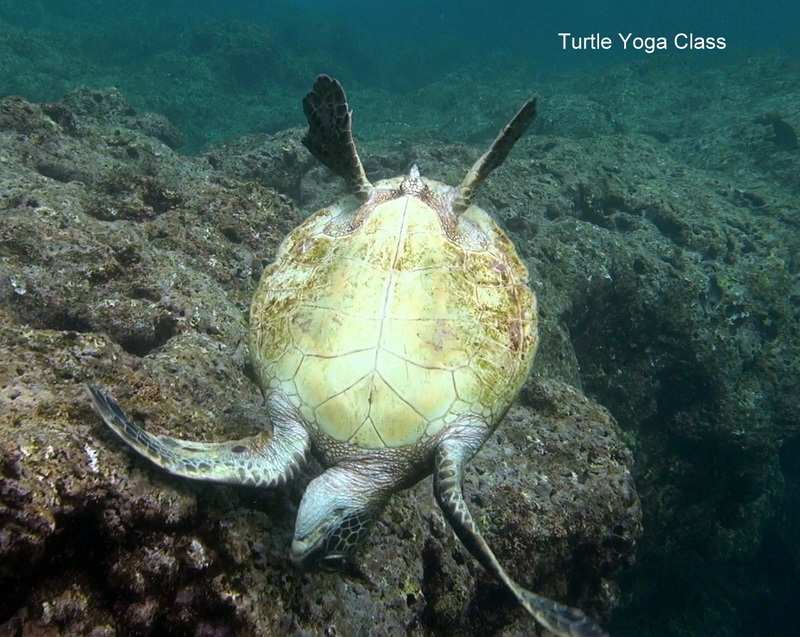 I have included pictures with labels and also some fun “turtle yoga class” pics as these are amazing creatures to spend peaceful time with and it is not right, or legal to kill them to kill them! Under the ESA law even “the likelihood” that the military electronic war games are altering the movement, feeding, breeding or habitat of the protected Green Sea Turtle demands a habitat Conservation Plan (HCP) be implemented. 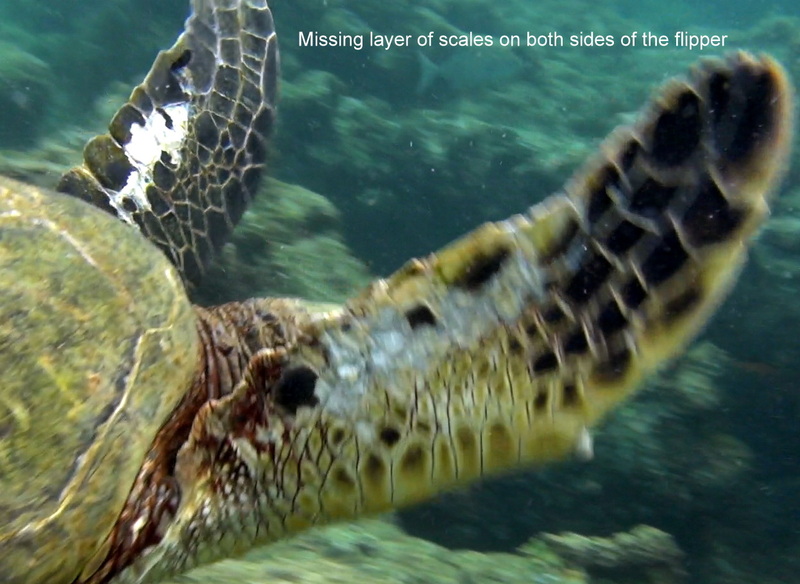 I should not have to prove that excess radiation is harming the sea turtles. The military needs to prove that their electronic war is NOT harming the turtles. This interpretation of the ESA has be documented in a number of high profile Supreme Court cases and was also ruled upon yesterday in a federal court in Hawaii on behalf of the marine life.